By Michael Collins: With his 12 round split decision victory over WBA Super World middleweight champion Felix Sturm last Saturday night, IBF/WBA middleweight champion Daniel Geale (28-1, 15 KO’s) will be bypassing an World Boxing Association ordered title defense against WBA World middleweight champion Gennady Golovkin to fight 38-year-old Sam Soliman (42-11, 17 KO’s) in December. The move will likely result in the WBA stripping Geale of his newly won WBA 160 pound title unless Geale’s management can get permission to bypass the defense against Golovkin. The WBA ordered that the winner of the Geale-Sturm fight has to defend the title against the mandatory by December 31st. If Geale chooses to fight Soliman, who clearly is the lesser threat compared to the hard hitting Golovkin, the WBA may choose to strip Geale of his title. Geale probably would be better off vacating the WBA title because he doesn’t match up well with Golovkin at all. This wouldn’t be a fight where Geale could out-jab and win rounds against Golovkin by landing weak right hands all night long like he did in beating Sturm. That wouldn’t against Golovki, who would be teeing off on Geale each time he catch up to him and we’d likely see a knockout by the 6th round. In that case, it’s smart that Geale is looking to take on Soliman instead because Geale can win that fight, but he can’t beat Golovkin. That would be a terrible mismatch. 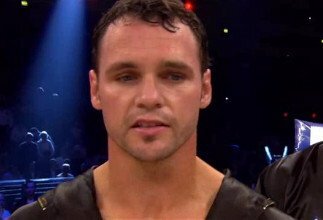 Geale fought well in beating Sturm by a narrow decision by coming on late in the fight to dominate the tiring WBA champion. It was an excellent performance from Geale, as he really gutted it out in the championship rounds to take Sturm’s title in his home country of Germany. Before that fight, Sturm had never been beaten in Germany before. Golovkin is just too strong for Geale it’s for the best that Geale take on the lighter hitting Soliman and just give up his WBA title without having to go through the ordeal of facing Golovkin and getting knocked out.